Available Zenix SEC column dimensions are 0.75, 1.0, 2.1, 3.0, 4.6, 7.8, 10, 21.2 and 30 mm I.D., and 20, 30, 50, 100, 150, 250, 300 and 600 mm length. Sepax also offers custom-made columns. Both stainless steel and PEEK tubes are available. The advantages of developing small particle size are higher efficiency and higher resolution. When particle size is decreased to 3 µm from 5 µm, the column efficiency is almost doubled. 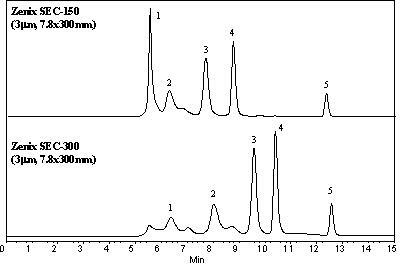 As shown in Table 1, the plate numbers of BSA dimmer, BSA, ribonuclease A increased from 2720 to 4600, 6590 to 13090, 11160 to 22000 when the particle size decreased from 5 µm to 3 µm. Fig. 2 and Fig. 3 further show that high efficiency has been achieved by 3 µm Zenix columns with various proteins. 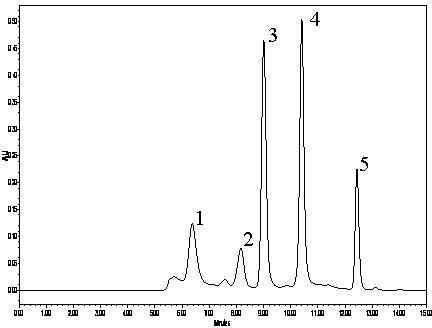 The efficiency of p-aminobenzoic acid reached to the plate number of 40,000 for 30 cm long Zenix column. Figure 1. 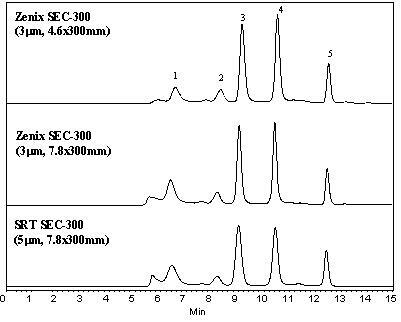 Separation of protein mixture A by Zenix SEC-300 and SRT SEC-300 columns. Table 1. 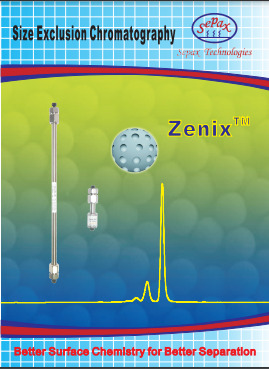 Efficiency of Zenix SEC-300 and SRT SEC-300 columns. Figure 2. 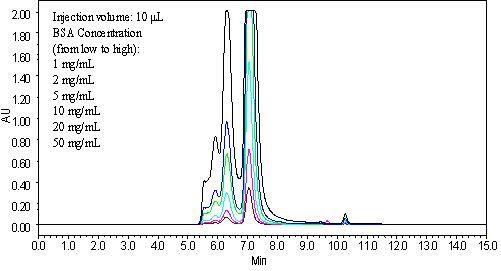 Separation of protein mixture B by Zenix SEC-150 and 300 columns with 7.8 mm ID. Table 2. Efficiency of 7.8×300 mm Zenix SEC-150 and 300 columns. Figure 3. 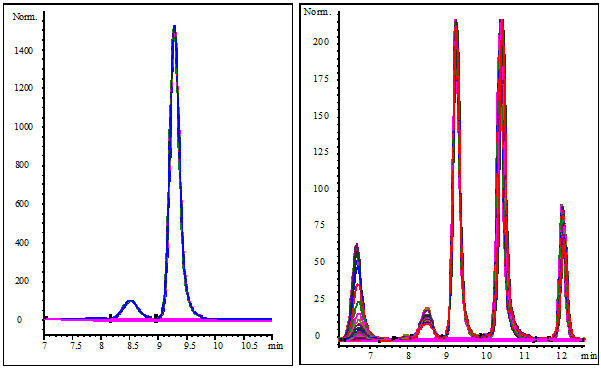 Separation of protein mixture B by Zenix SEC-150 and 300 columns with 4.6 mm ID. Table 3. Efficiency of 4.6×300 mm Zenix SEC-150 and 300 columns. 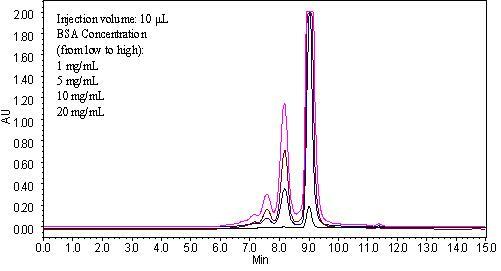 Loading capacity is critical for size exclusion separation and purification. 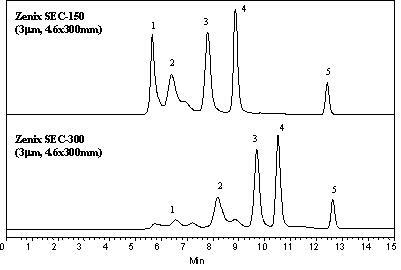 Figure 4 shows high loading capacity for BSA as one example (>500 µg for an analytical column). Figure 4. BSA loading test on a Zenix SEC-150 column. Figure 5. BSA loading test on a Zenix SEC-300 column. 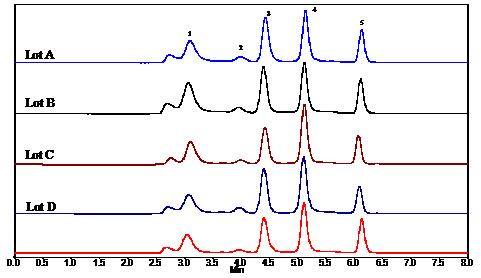 The proprietary stationary phases of Zenix SEC packings utilize densely bonded chemistry on the silica surface, which greatly hinders the diffusion of the molecules that would attack the bond of silica-stationary phase layer, thus enabling high stability over a wide range of pH from 2 to 8.5. Zenix SEC phases are compatible with most aqueous buffers, such as ammonium acetate, phosphate, trizma and so on. Zenix SEC phases can tolerate high concentration of salts, such as 2.0 M. Furthermore, Zenix SEC columns are stable in both organic solvents, such as methanol, ethanol, THF, DMF, DMSO, and so on; as well as the mixture of water and organic solvents. The controlled surface chemistry used to synthesize Zenix SEC phases makes the surface coating highly reproducible, leading to consistent column manufacturing. Separation variation from batch to batch is controlled to be within 5% for retention time. Zenix SEC phases are hydrophilic and neutral. Proteins and other biological molecules have negligible nonspecific interactions with Zenix stationary phases. The protein adsorption to the silica surface is suppressed, leading to high recovery of intact proteins, maintaining the protein activity after separation. More than 95% recovery is achieved for BSA and lysozyme, the representatives for acidic and basic proteins, respectively.